Recently the Merrick Fire Department Friendship Engine and Hose Co. 2 placed into service the new twin engines 643 & 644, both 2018 Ferrara Cinder 1500/500 Engines. Both engines are equipped with basic firefighting equipment as well as extrication equipment. Engine 643 is uniquely equipped with the bell from their 1967 ALF which also served on their 1992 Pierce. 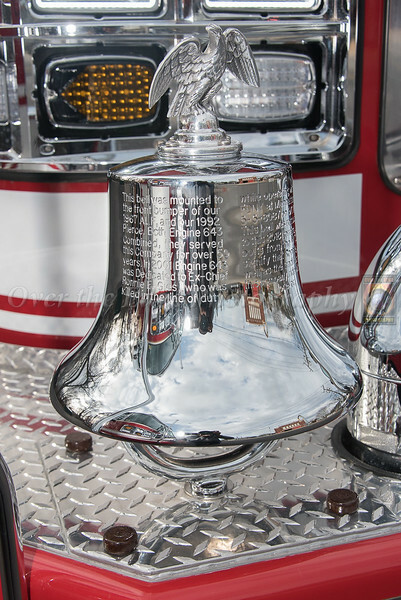 The bell is secured to 643 with 4 bolts from the World Trade Center in memory of Ex-Chief Ronnie Gies who was killed in the line of duty on September 11th, 2001.